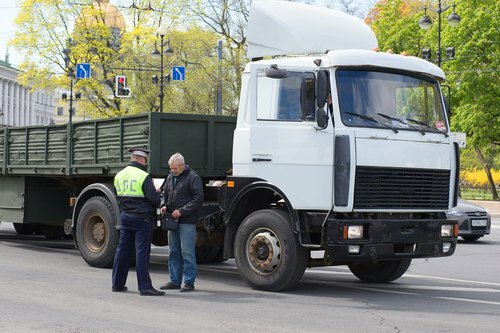 Apollo Law Routinely Represents Indivuals Charged With Semi Truck Traffic Violations On Kentucky Route 151. This issue has become so prolific that ABC Channel 36 ran a story about it. Literally every traffic court docket in Franklin District Court tends to have at least one of thes Route 151 cases on it. Clients regualrly indicate that they were following other trucks along this route when they were pulled over, and that while on the side of the road with the local police several similarly sized semi trucks pass them by. It is easy to miss the signs limitiing the size of the semi trucks on this road and to not know about the issue if you are not from Franklin County. The good news is that Apollo Law can generally resolve such cases to our client's satisfaction. Call today if you have been cited for a semi truck traffic violation on Route 151. A number of our clients are out of state residents. Apollo Law can typially resolve such cases with a signed plea by affidavit and out of state clients will not need to appear for court on such cases to resolve them. Ask our attorney more about this process when you call to schedule an appointment about your case.